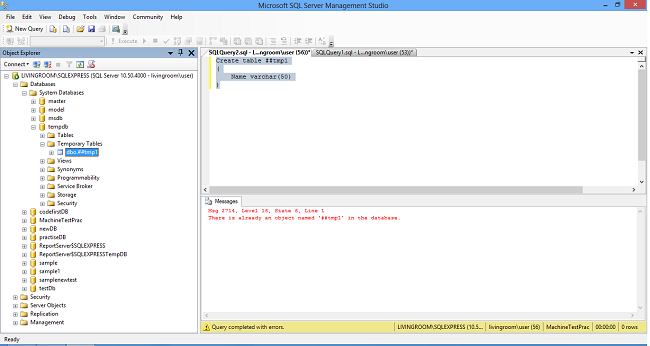 This blog is about temporary tables in SQL, their types, and differences between them. 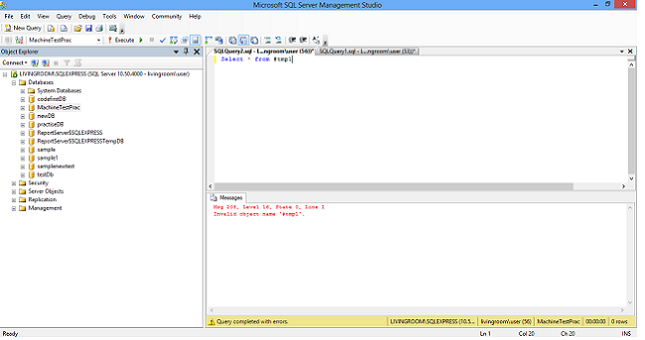 Temporary Tables are similar to permanent tables, the only difference is Temporary Tables are stored in TempDB and they are dropped when the connection which created it is closed, whereas permanent tables are stored in the database in which we create them and are dropped when we drop them using drop command. 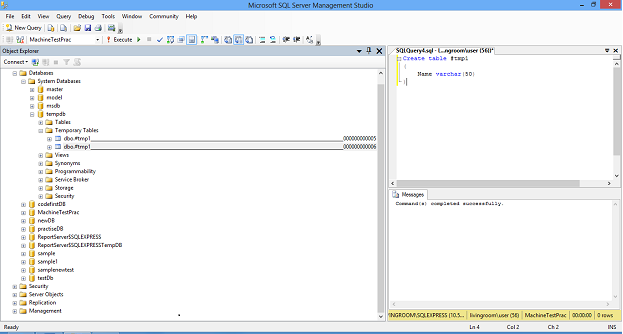 You can create two Local Temporary Tables with the same name using different connections.This is because SQL server attaches random numbers as a postfix to the name of the Local Temporary Tables as shown in the image. 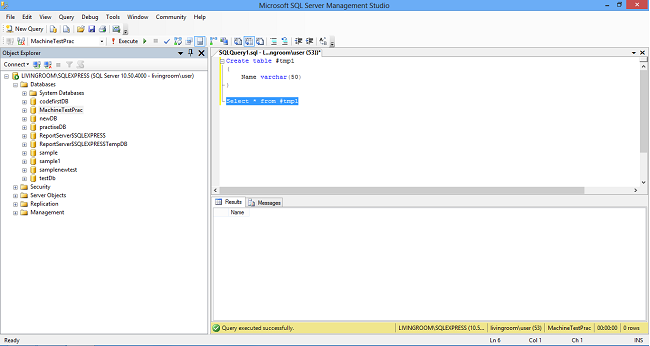 As you can see in the above image, I have created two local temporary tables with same name #tmp1 using two different connections, to identify them uniquely Sql Server has attached a Unique random number as a postfix after table name. 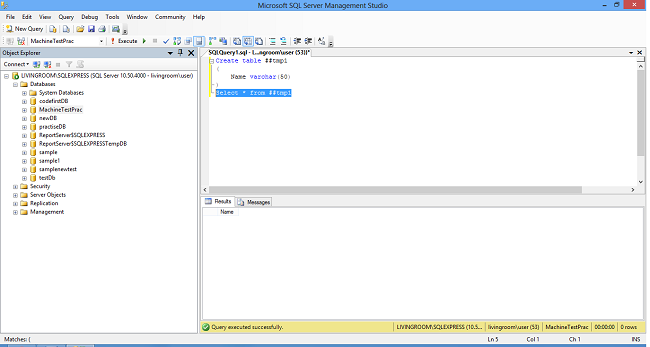 If the Local Temporary table is created inside the stored procedure, it gets dropped automatically after the stored procedure is executed. 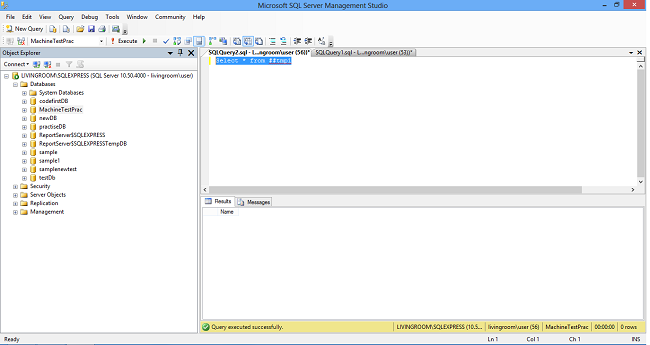 As you can see in the above image, I tried to create a global temporary table with the same name which is ##tmp1 using a different connection, but SQL server does not allow me to create a global temporary table if the same was already created. Hence the major difference between a Global Temporary table and a Local Temporary table is that Global Temporary Table is available for all the connections and Local Temporary table is available only for the connection which created it. You cannot create two global temporary tables with the same name using different connections but you can create two local temporary tables with the same name using different connections. And both will get dropped or deleted when the connection which created them is closed.